I remember the first time I heard about meal delivery services – my mind went crazy with all the possibilities as well as the pitfalls. I mean, things could go very right. But they could also go very wrong as far as spoiled food…..
Until now, I've stayed pretty far away from meal and perishable food delivery services because they made me nervous. But I may have changed my mind after using ButcherBox, in an attempt to simplify my busy life. 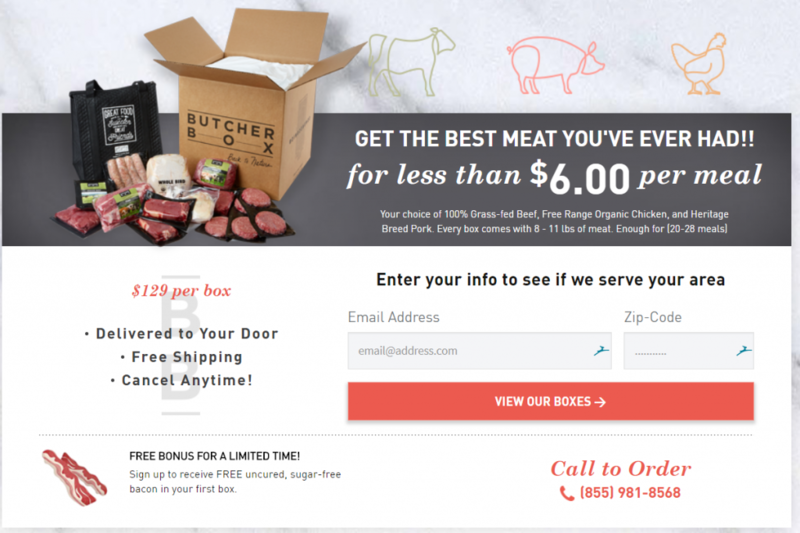 ButcherBox is totally targeted toward meat lovers like me and you! Their meats are grass-fed, grass-finished, and never, ever contain hormones. Even better, they help small farmers out by sourcing their meats from those who pasture-raise their cattle. Butcherbox started out on Kickstarter, but they soon realized just how big the demand was for delivered-to-your-door grass-fed meats when they exceeded their $200,000 fundraising goal. Butcher box doesn't just deliver beef, either. They also have pork and chicken, both of which are humanely raised, and hormone free. 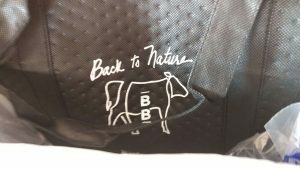 Each shipment contains a MONTH's worth of meat, which is flash-frozen and delivered in an eco-friendly reusable insulated bag, and then packed with insulation and dry ice. From there, you have the option for different boxes, based on your family size or how much grass-fed meat your family needs each month, as well as as your delivery preferences. The larger boxes are the best value here, when you figure price per pound. You also have the option to choose delivery every month, or every other month. Build your custom box with 6 of your favorite cuts for a Regular Box, or 12 for a Big Box. For a Regular Box, select 3 from Everyday category, and 3 from the Premium category. For a Big Box, choose 6 and 6 from each. At this time no substitutions are allowed. Choose your delivery frequency of monthly or every 2 months, and select any add-ons. You can change your box assortment, size, and delivery frequency at any time prior to your next invoice date in your ButcherBox account at butcherbox.com/login. What Did Our ButcherBox Contain? How Was Our ButcherBox Packed? Everything in our box was a perfect cut of meat. The packages were neatly labeled and vacuum sealed for storage. 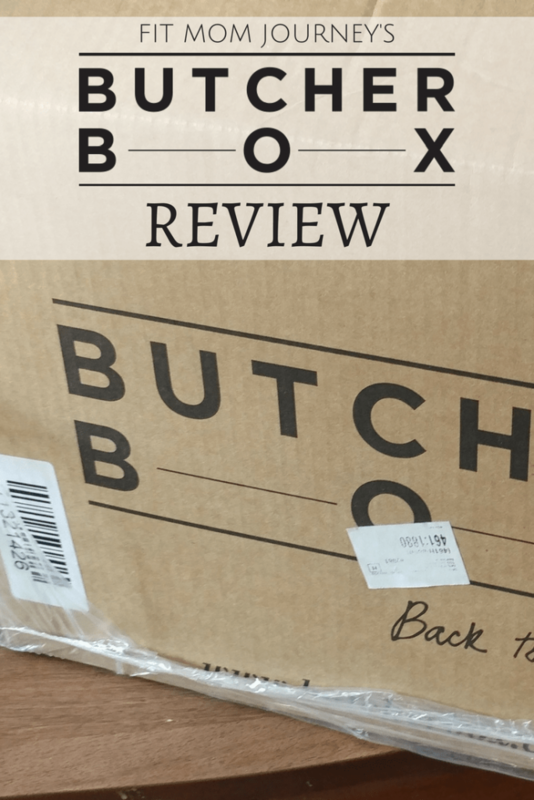 How Did Our ButcherBox Taste? The bacon had the perfect ratio of fat to meat and the taste was awesome. I used the Stew Meat in my Keto Beef Stew (a recipe I've been tweaking, coming soon!) and my husband RAVED about the taste. Is The Cost of ButcherBox Worth It? 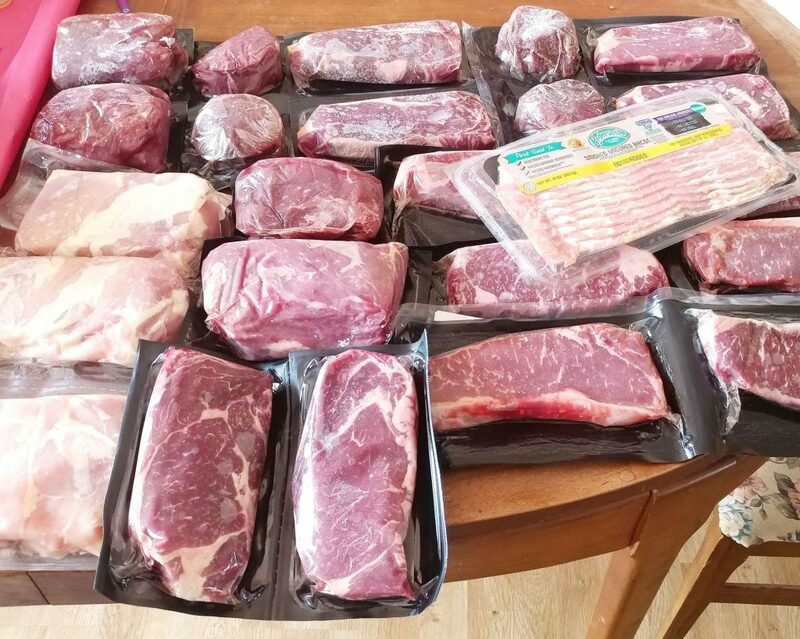 We received 280oz of meat, total, which is 17.5 pounds. Since we paid $149 for our box, this works out to $8.51/lb for everything in our box. And honestly, that's $2-$3/lb LESS than what we would pay at our local grocery store. However, grass-fed beef is more expensive than regular beef. If you can't find good quality grass-fed beef in your area, and place a lot of value on the quality of your meat, or are just busy with little time to shop for quality meats, then ButcherBox is perfect for you. We, admittedly, don't eat 100% grass-fed beef, but it's nice to know that at least most of what we eat is grass-fed, organic, and free of hormones. 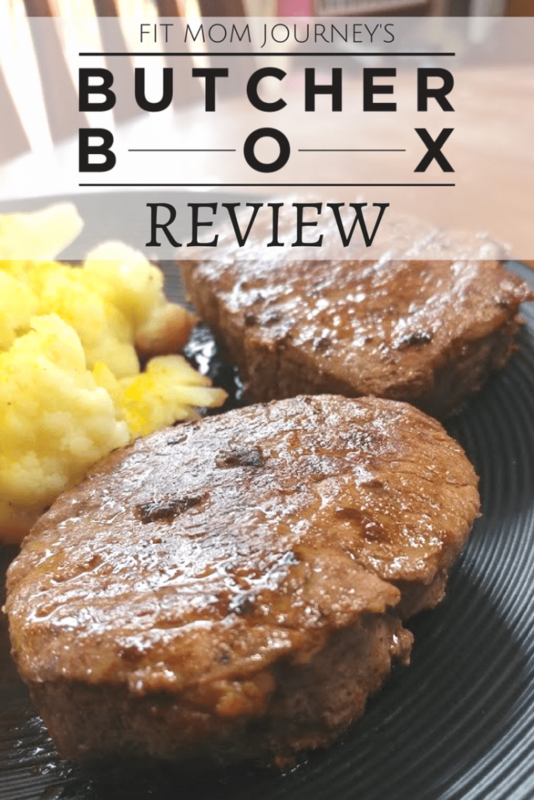 Want to try ButcherBox for yourself? 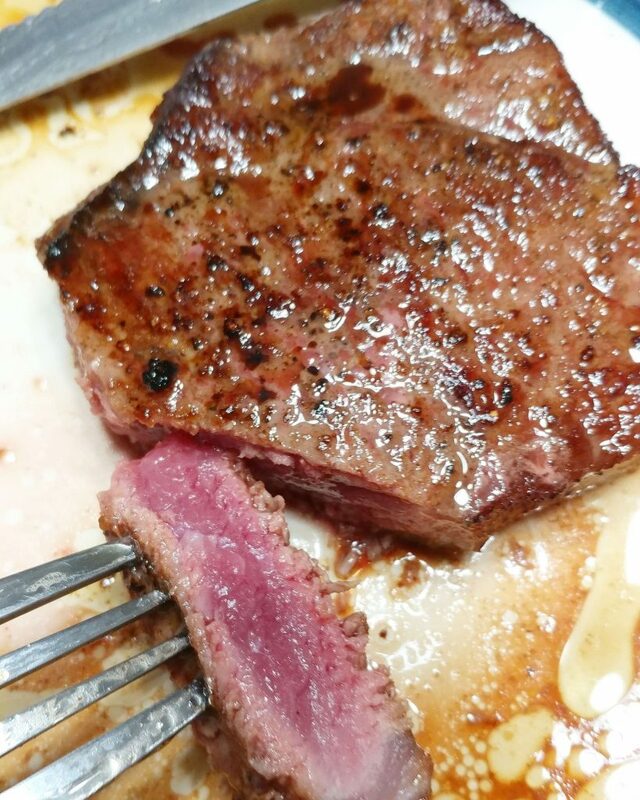 Try it here and get $10 off, 2 FREE Grass-Fed Ribeyes + Free Bacon (1 lb). Are There Any Downsides To ButcherBox? The only thing that worries me is shipping delays, especially around the holidays. 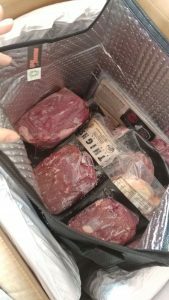 ButcherBox does a great job of packing the meat with dry ice and insulation, but living in a rural area we often have problems with shipping times. However, when I asked ButcherBox Customer Service about this, they were very friendly and helpful. I was told that if any shipments arrived late, to contact them, take a few pictures of the state of the meat, and they would happily ship a new box or credit me for the cost of the box. 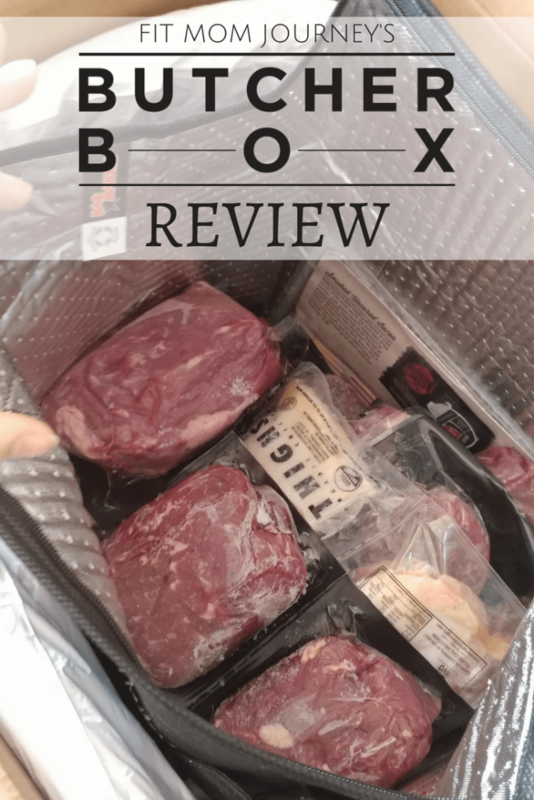 How Can You Save Money on ButcherBox? 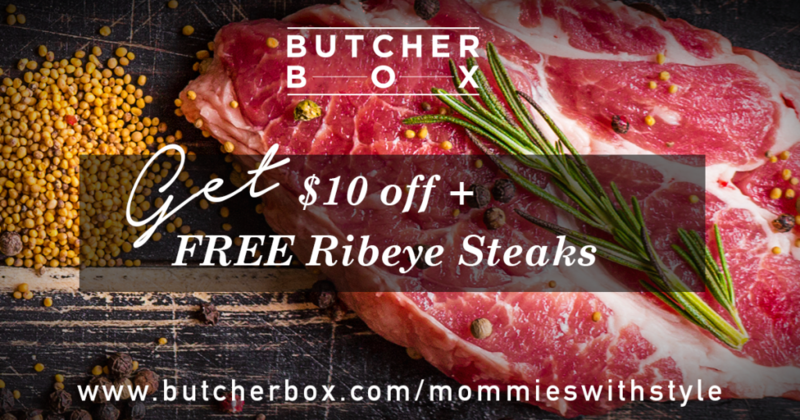 Shop at ButcherBox.com using my link to save! ButcherBox occasionally runs sales, like on Black Friday. I always email my list (sign up here) about these sales so you can take advantage, so make sure to sign up and be notified! 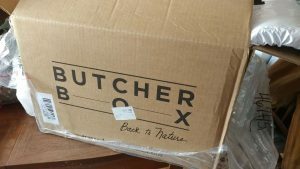 Are you considering ordering a ButcherBox? Package came two days late. Dry ice was gone, meat is room temp and bleeding through the bag into the box. Their customer service has not responded to a single call or email of mine.